Hey folks! 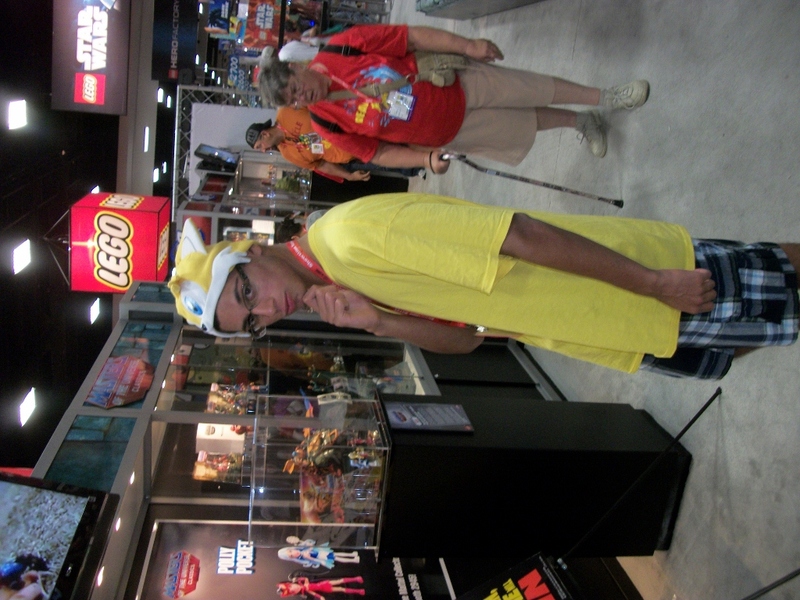 Jason here and I just got back from comic Con where I had one of my best years yet! 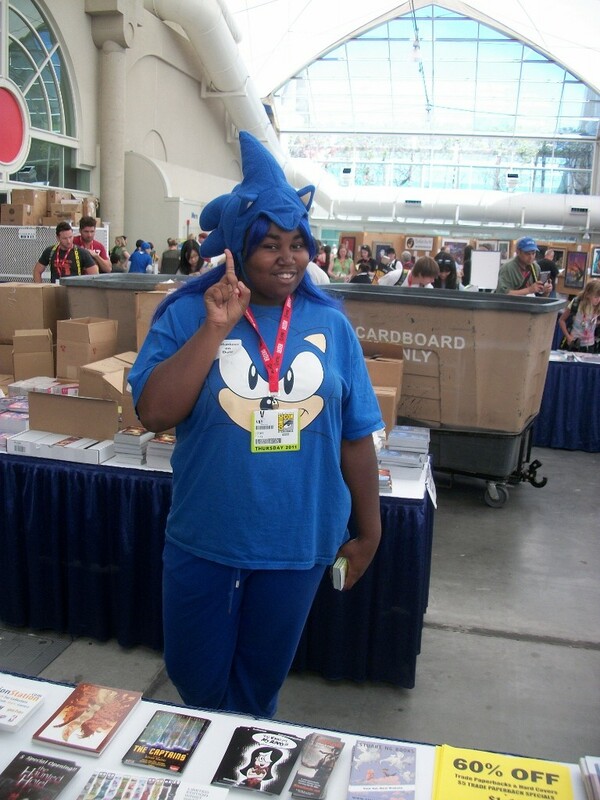 Since Sonic Generations and Sega had such a strong precense at the con this year, I thought I’d check and see how many Sonic fans I could find. 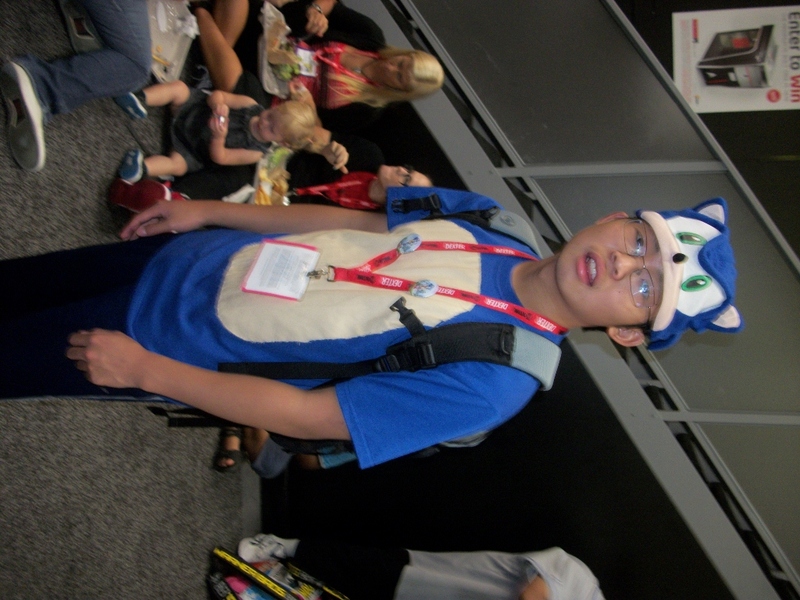 There were more folks in blue hats than I could possibly take pictures of! 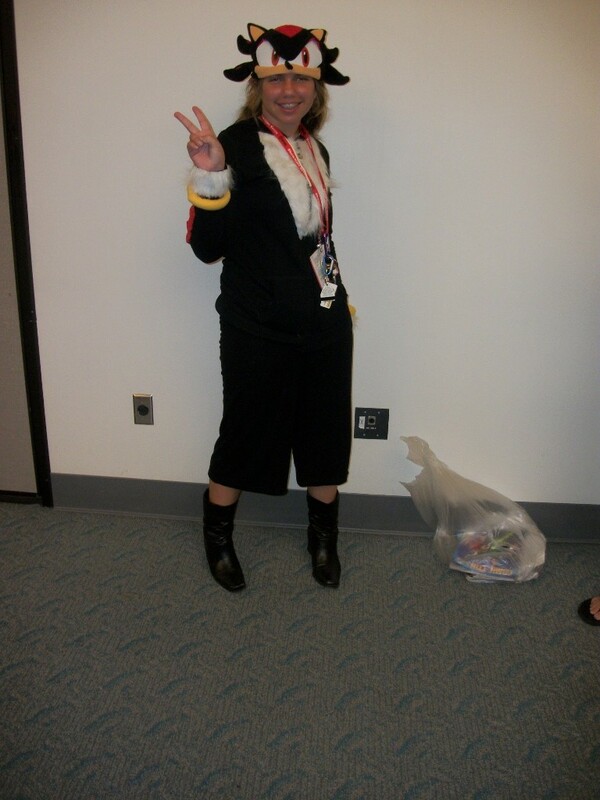 Here’s some fellow fans hanging out at the con. 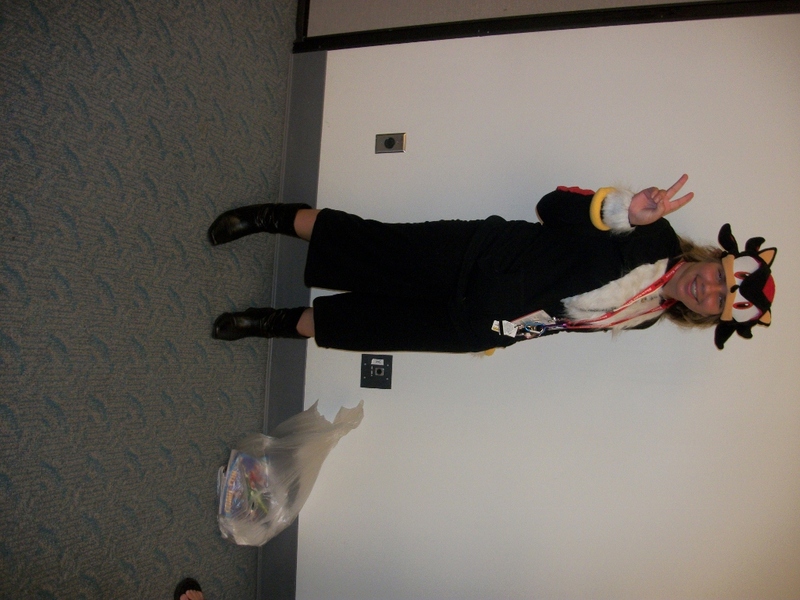 This young lady was working the freebie table in the badge pick-up area. 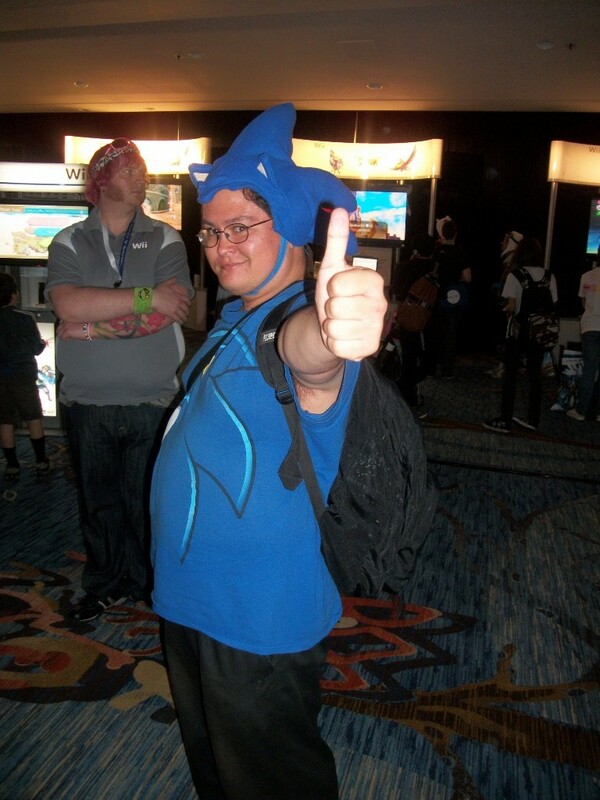 A Sonic fan through and through. 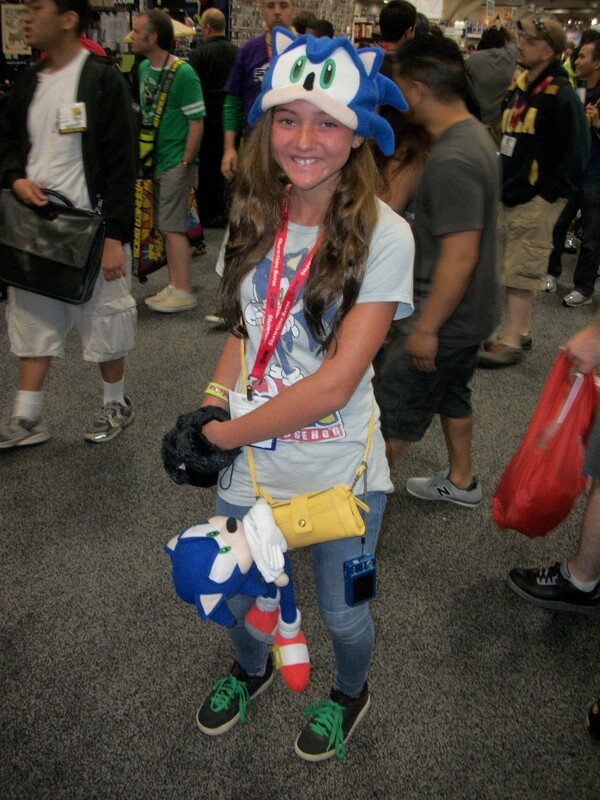 Sonic fan hanging out at the Nintendo lounge. 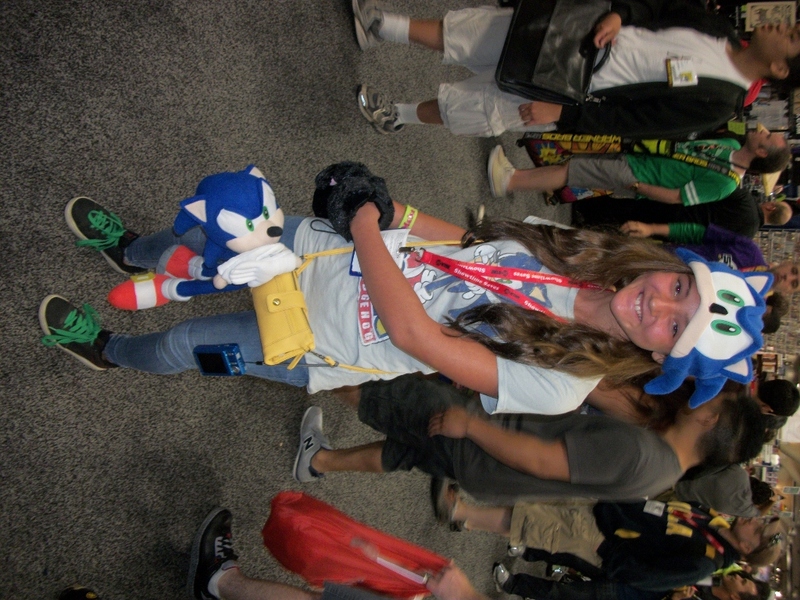 Another Sonic fan hanging out near the G4 booth. 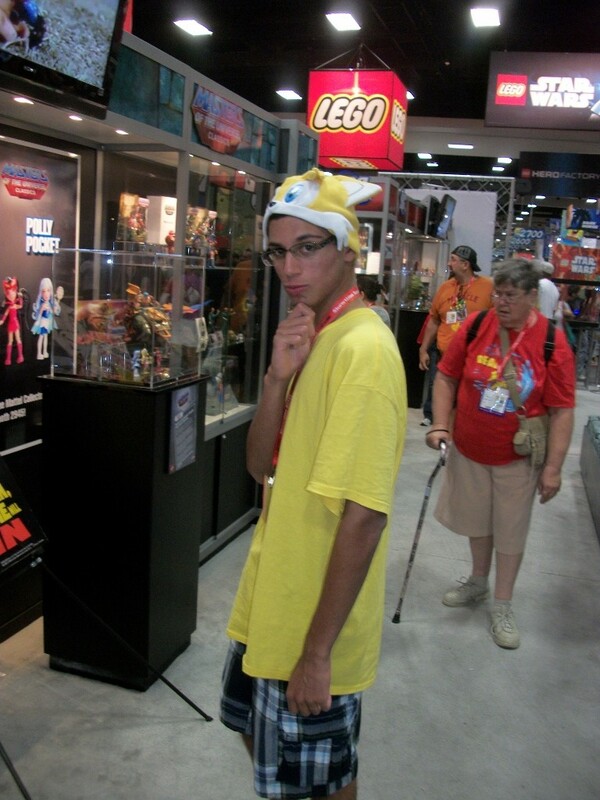 A Tails fan is pondering…….something. 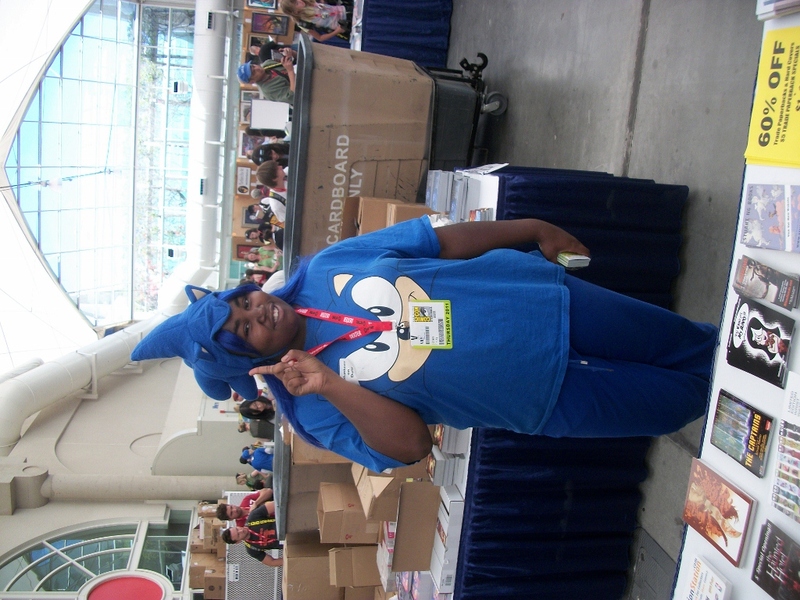 Just before I left on Sunday, I found a fan in full Sonic cosplay armed with a sword. That’s it for now! I’ll have an interview with Archie editor Paul Kaminski up later this week followed by a new interview with Aaron Webber. 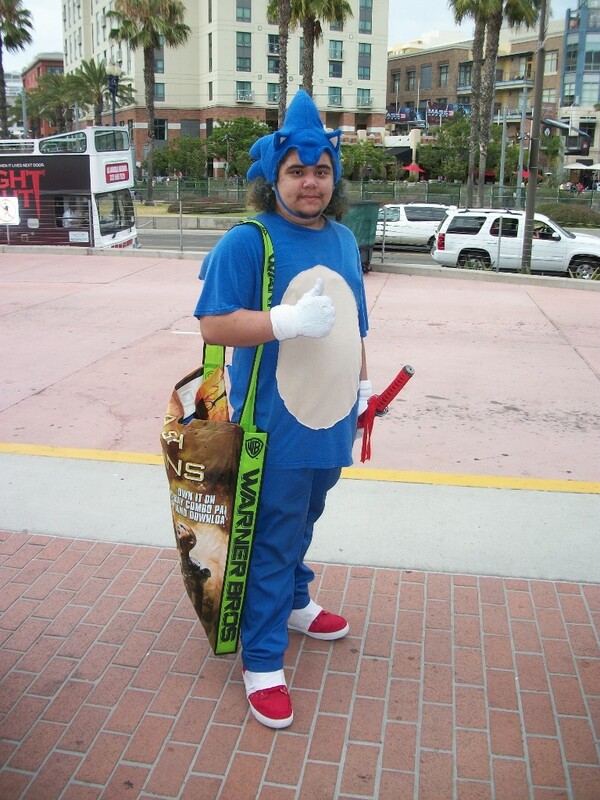 I’ve seen some Sonic cosplay in my time. It’s not the prettiest sight, I can assure you. 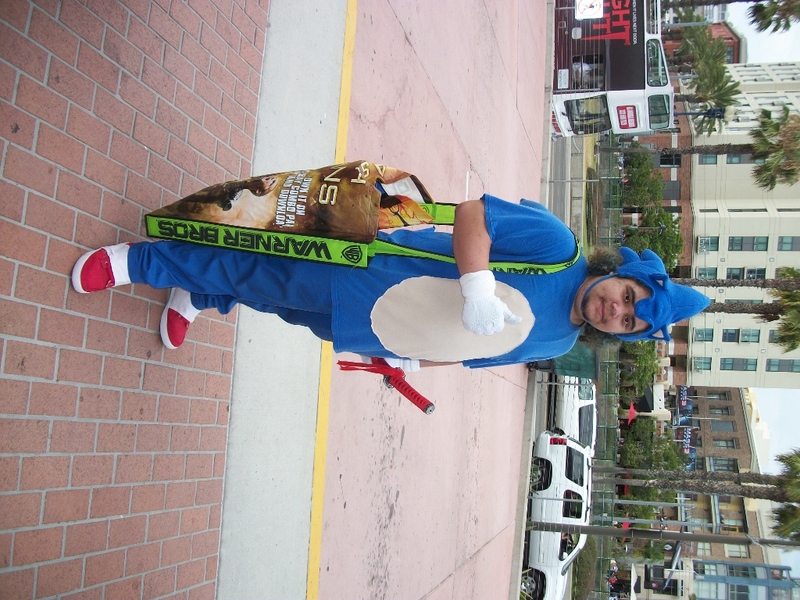 The only time that I haven’t been afraid for my well-being by someone in a Sonic costume is at SEGA-sponsored events. The costumes that have been found by UK Resistance are not in the latter category, as they will surely make the young ones pee multiple pairs of pants. Expect them to be followed home from school by a man in one of these costumes. 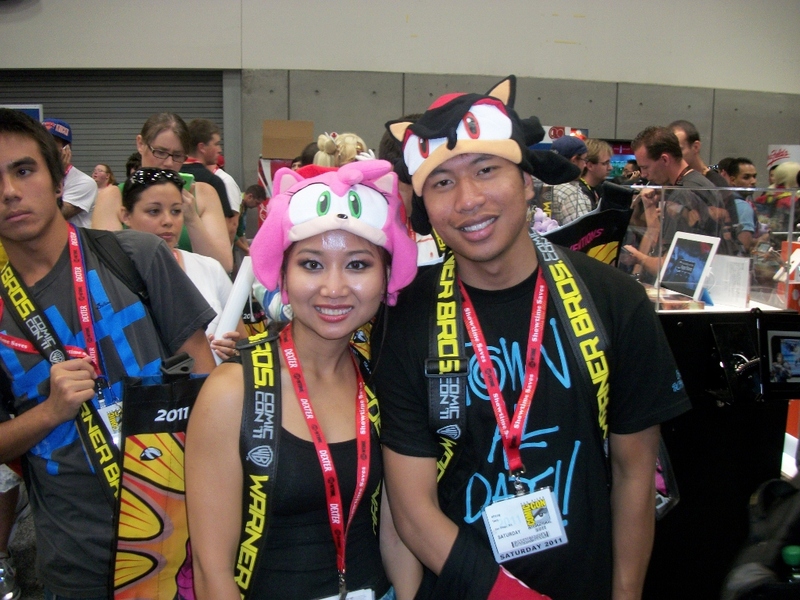 Every Sonic character that has seen some game time in the past decade is available at the eBay seller’s store, all of them horrifying. 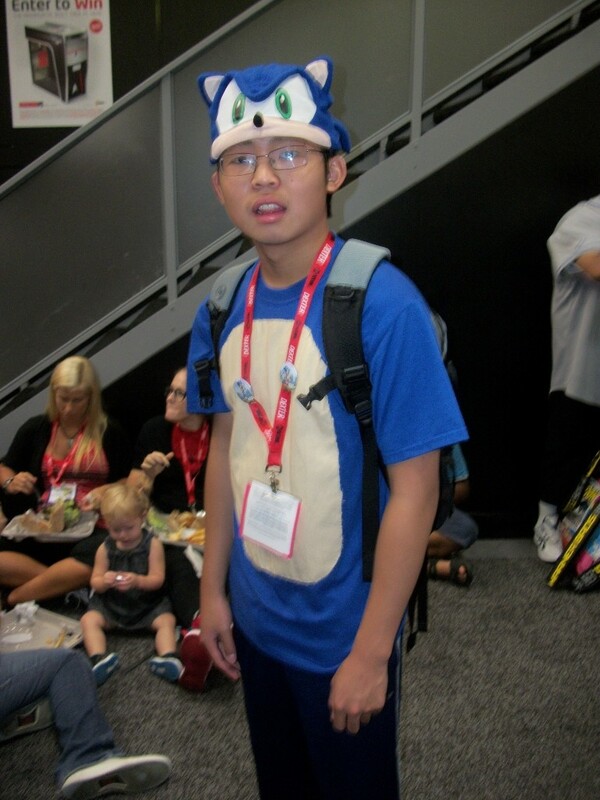 Doofy-Mouth Sonic will give me nightmares. So, too, will Arms-Joined-At-The-Cheeks Amy and Middle-Aged Rouge the Bat. Why, oh, why did they decide to take pictures of the costumes in an abandoned warehouse? Hibblie-jibblies.